Dress For The Day and Extra Mustard are teaming up for a look at the biggest names in the world’s most stylish league, the NBA. If you want more on the latest men’s style, you can check out their weekly Q&A, download the app for access to fashion on-the-go, and check out the men’s style section of DressForTheDay.com. All photos were originally posted on Twitter. 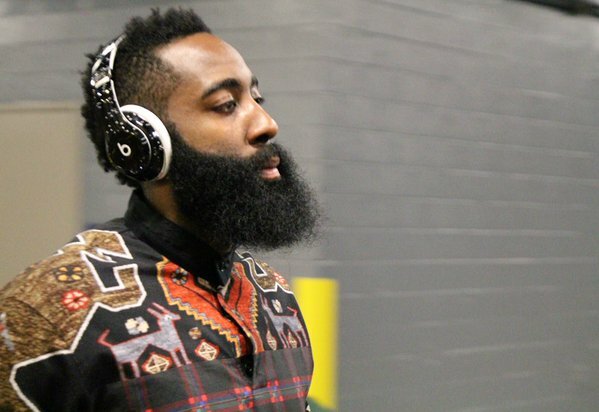 James Harden always pushes the envelope when it comes to fashion and we can’t get enough. Even when walking into the locker room, he keeps the season’s trends fresh to death, and now you can cop his style. Rock a bold, Aztec print button-down similar to his here. To stop yourself go overboard and take away from the party on top, pair with simple black jeans like these. His Beats headphones are definitely #blessup worthy and you can grab a pair here. Now that’s some serious rocket-level style. 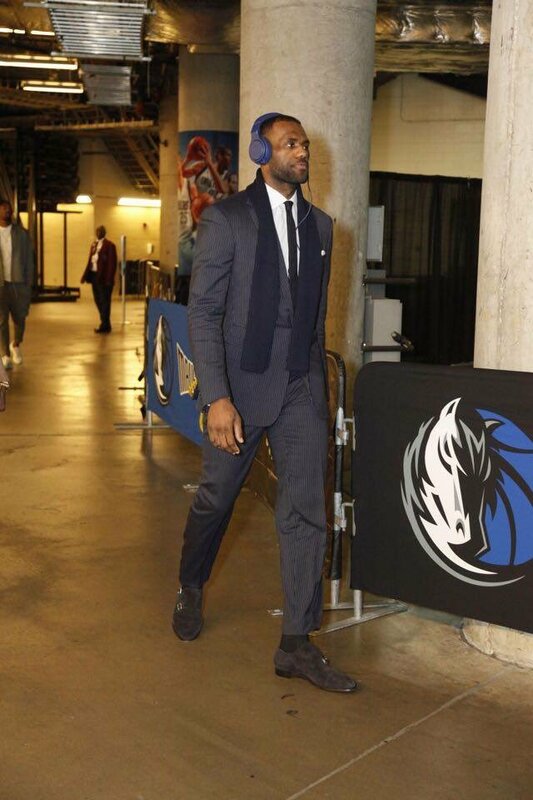 Often described as the King of NBA Style, LeBron James definitely brought his A-game to not only slay the Mavericks last week but to also slay the pre-game fashion scene. He’s a classic man with a contemporary twist in his perfectly tailored suit (similar here) and white dress shirt. We love how he accessorized with a skinny black tie and dapper scarf. He finishes off with some suede monk-strap loafers that we are drooling over. All in the details. All hail the king. 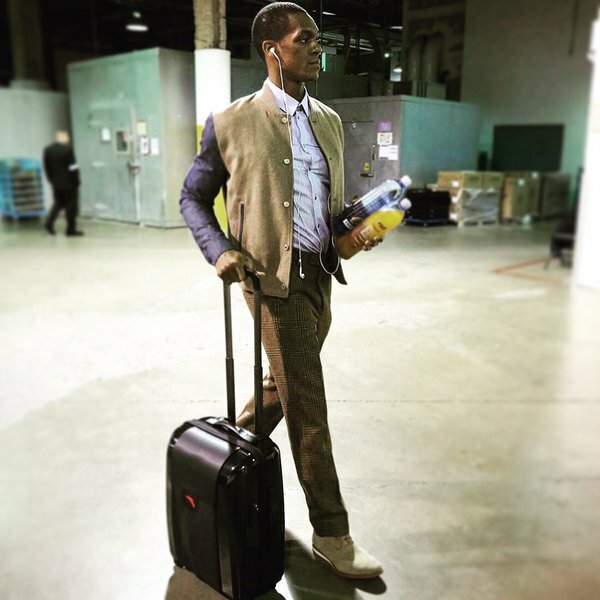 The walk into the arena is pretty much a runway for Rajon Rondo. He’s very vocal about his passion for all things fashion and has described his personal style as “collegiate fresh.” His look above is no different and we have serious feels for that #turntup varsity jacket. He pairs it with a blue button-down and some houndstooth slacks that defy what it means to be preppy and cool. Tan suede oxfords and of course some dope carry-on luggage are what you need to complete the look. ​When it comes to Dwight Howard there are two things we can be certain of regarding his pre-game rituals. First, his dance routine will forever provide comic relief on the court. Second, his fashion game will leave you wondering how he manages to look so damn dapper in even just the basics. 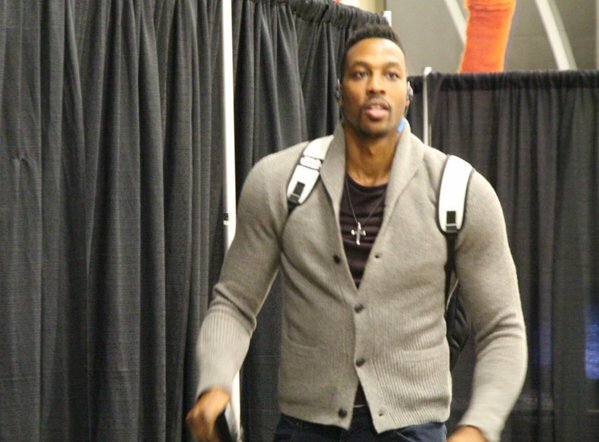 Get Dwight’s look by pulling out essentials from your closet. Start with a pair of dark washed jeans and a solid colored tee. To pull the look together, layer a neutral colored knit cardigan and show off those guns! Yep, It’s that easy to look baller. 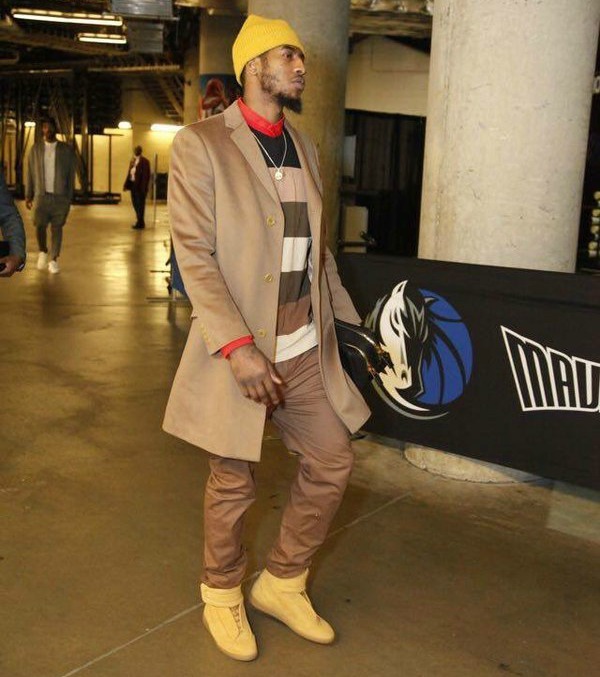 It’s no secret that Iman Shumpert knows a thing or two when it comes to making a style statement-specifically when it comes to rocking colors. Here’s why he ranks high on our fashion scale: Iman keeps the majority of his outfits neutral in colors like black, brown, white etc. and then when you least expect it he lights it up with bright accent colors. Take a style cue from him with yellow sneakers like these, a bright colored beanie, and a sweater with just the right pop of red here. And that suave camel colored coat is everything. In old school NBA Jam lingo “He’s on fire!” (umm..literally).